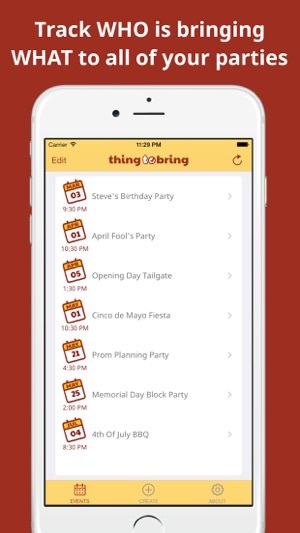 ThingToBring makes event and party planning easier for the organizer. 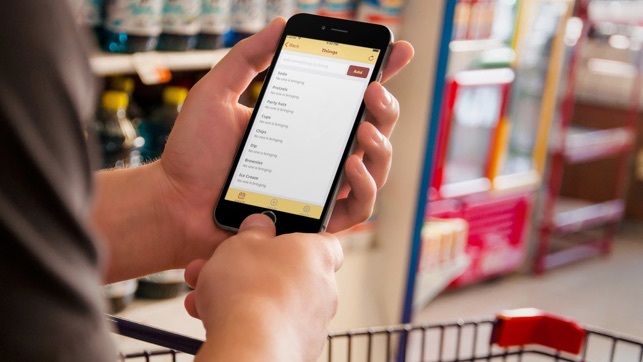 Coordinate WHO is bringing WHAT to your next party, cookout, potluck or volunteer event! 1. 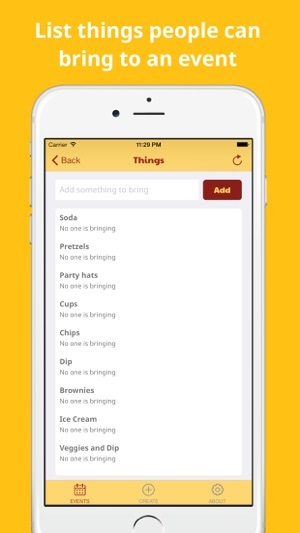 List the things people can bring to your next event. 2. 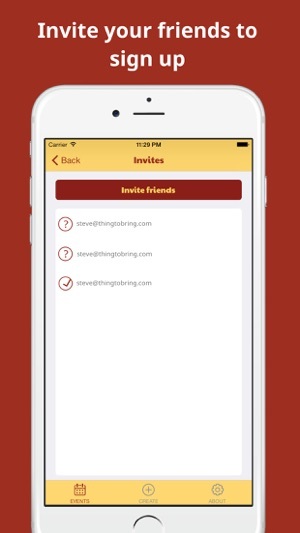 Email or text invites to friends. 3. Track who is bringing what. - New design for event management screen. 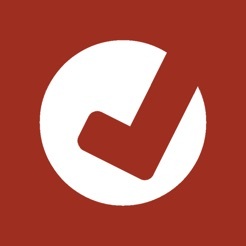 Contrary to some of the reviews I was reading, this app is actually feature-rich and works quite well. 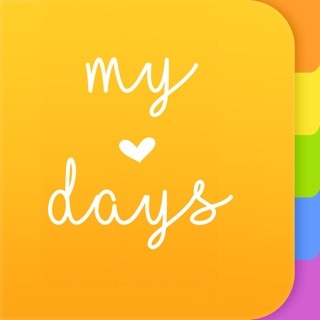 In fact, I could find no other app like this in the app store, so this is filling a real gap. It appears very generous that there is no cost and apparently no advertisements. This is a pretty good app, not exactly what I was looking for. I think I would like it more if it had more options like activities you are going to do (and what time you are going to do them, and notes, and write the list of people you want to invite, ect. I just thought i would give this app a try. This app isn’t functional. I took time to register with two different email addresses and the registration work however, the app would not open. I received error messages stating that the app developer was sorry but they were aware of the problem. 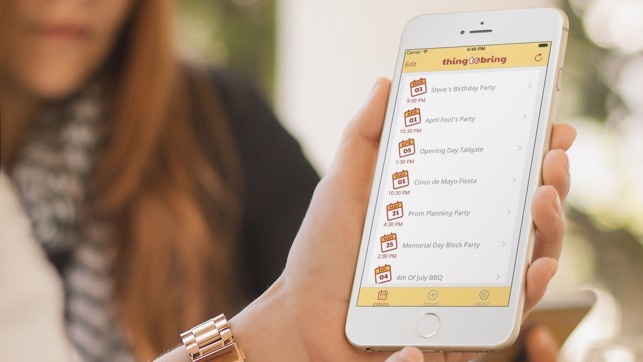 That’s nice but I don’t have time to waste and I have to find another app to fulfill my event planning needs. FIX YOUR APP, ASAP!!! !